The vessels are currently being built by T. Mariotti and are due to launch in June 2021 and May 2022 respectively. Tihany was the creative force behind the luxury yacht-inspired interiors on Seabourn Encore and Seabourn Ovation, the line’s two newest ships. He also designed interiors for the Grill by Thomas Keller restaurant on Seabourn Odyssey, Seabourn Sojourn, and Seabourn Quest. Tihany has also done work for Mandarin Oriental and Cunard. “Adam’s creative and artistic talents have proven to be a wonderful match for Seabourn, his work on our two newest ships has won high praise from our guests,” said Richard Meadows, Seabourn president. “Expedition travel stirs a passion to venture to remote places, first discovered by explorers and the adventurous. “The interiors of our new expedition ships need to feel connected to these destinations through the design and materials. Tihany has created iconic hotel, restaurant and cruise interiors around the world, including the Beverly Hills Hotel, the Breakers Resort in Palm Beach, Belmond Hotel Cipriani in Venice, the Four Seasons Dubai DIFC, the Joule in Dallas and the Oberoi New Delhi. 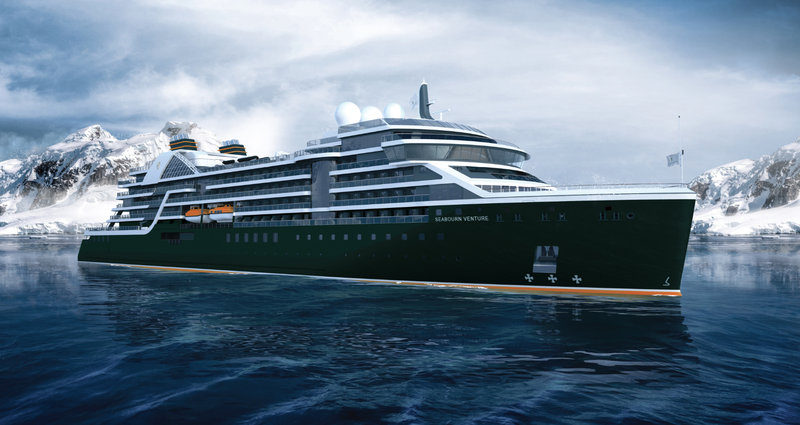 “We are thrilled to join Seabourn on this exciting next chapter of expedition cruising,” Tihany said.